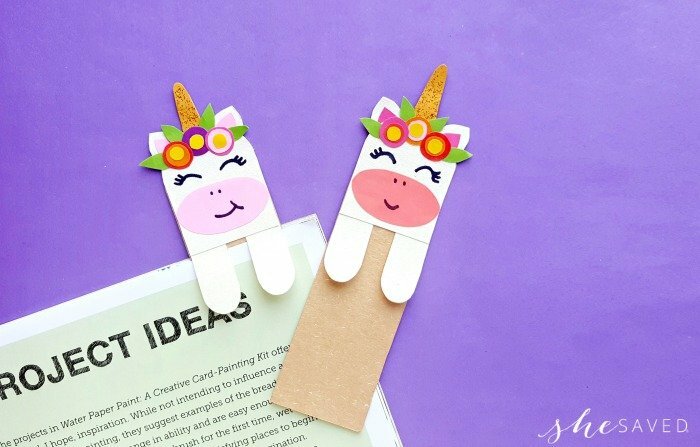 This fun paper craft project features a FREE DIY Printable Unicorn bookmark that you can make from a template! 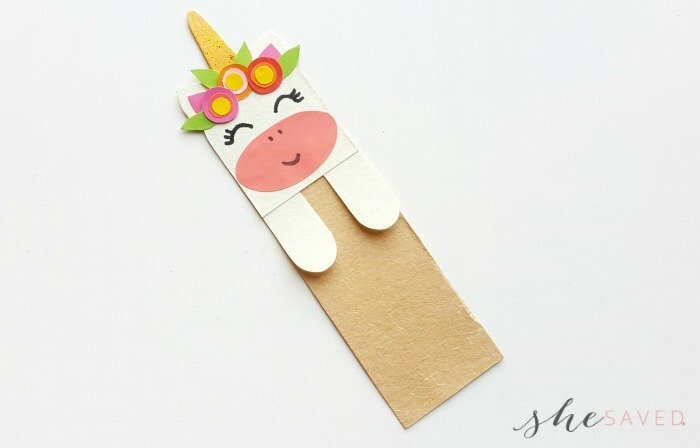 So much fun and a great craft activity that also makes a super cute gift. 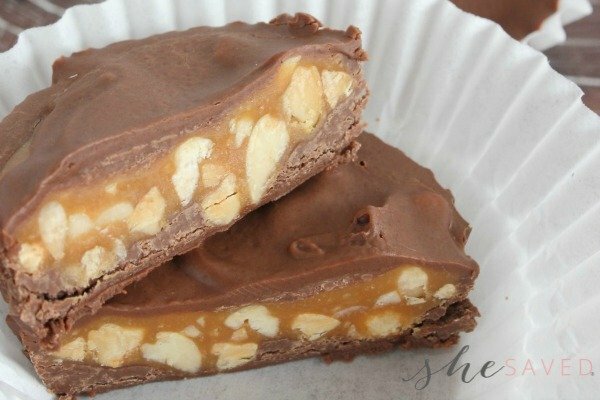 This would be fun to make as a class project and also a really cute Valentine’s Day card or gift idea! 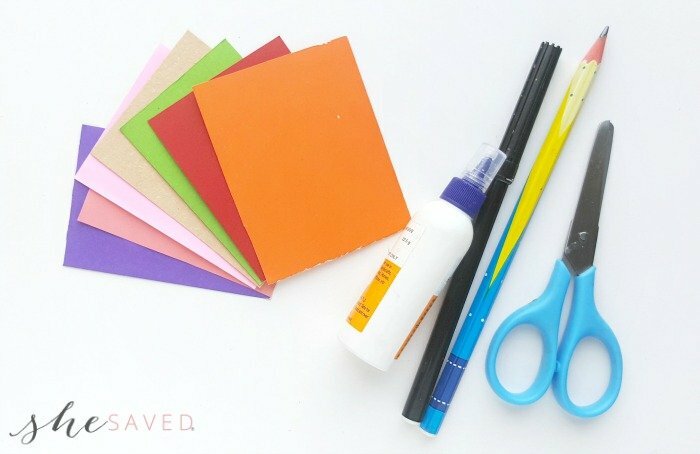 My favorite thing about homemade gift ideas and paper crafts is that they are inexpensive and turn out being special keepsakes that you can give from the heart. I have so many wonderful saved paper crafts that my daughter has made me over the years and I cherish them. 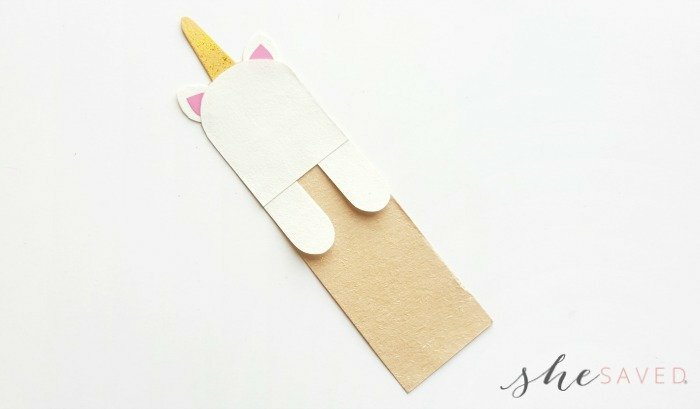 This unicorn bookmark is not exception! 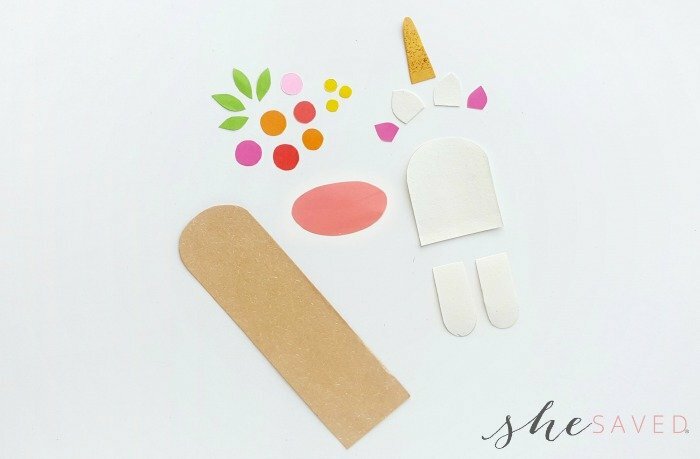 Select different colored crafts papers. 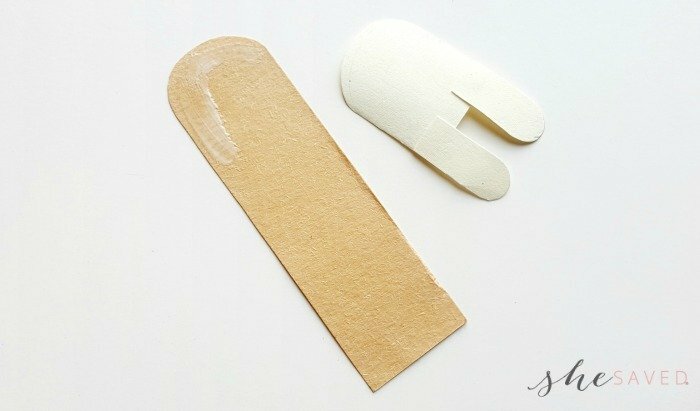 Also select cardstock paper for the base of the bookmark. 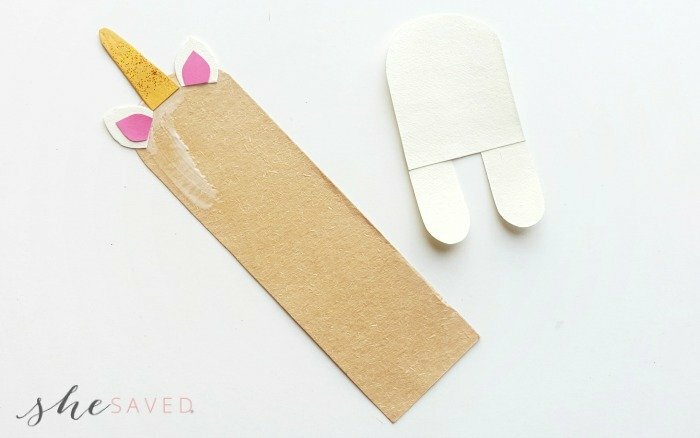 Prepare the patterns from the provided FREE Unicorn Bookmark Template by printing and cutting them out. 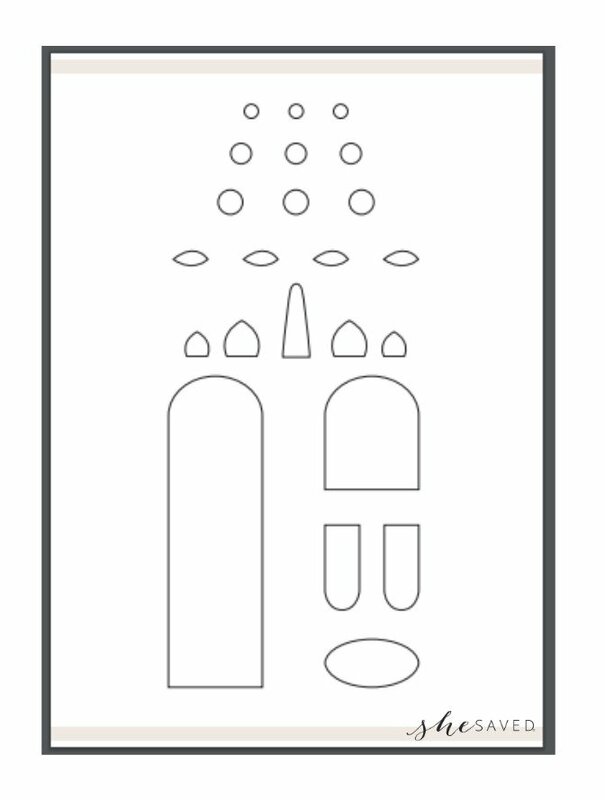 Trace the base pattern on the cardstock paper. Trace the rest of the patterns on the selected colored crafts papers. Next cuut out the traced patterns nicely. Take the head cut out and attach the 2 hoof cut outs on the bottom side it by overlapping about a cm along the straight ends of all 3 patterns. The curved ends of the hoof cut outs should be pointing outside of the head pattern. Grab the ear and horn cut outs. Attach them along the top end of the bookmark base. As you see, the ear has 2 parts, inner and outer. Stick the inner parts inside the outer parts so that the pink is on the inside. 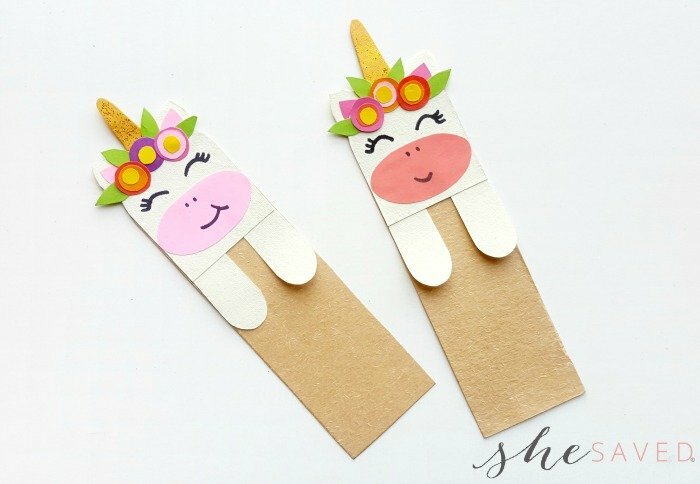 Now attach the head and hoof joint part on the bookmark base by matching the top ends of both pieces (head and bookmark base) so that the bookmark base is behind and the hooves hang over so they can “hug” the pages of a book. Grab the other cut out patterns and prepare the flowers by joining the round cut outs. Glue the small round cut outs on the large ones to make the flowers. 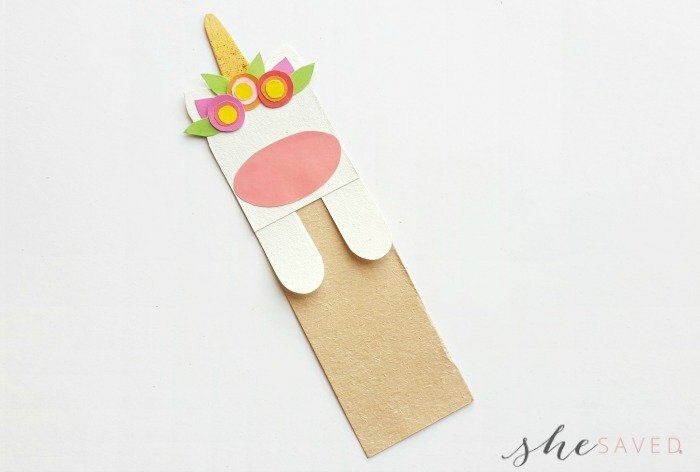 Glue the flowers and the leaves on the top side of the bookmark. Arrange and glue the flowers nicely. Also attach the oval shaped cut out on the bottom side of the head part, this will be the front side of the unicorn head. Use a fine point marker (I prefer black sharpies) to draw the eyes, nose and lip of the unicorn. 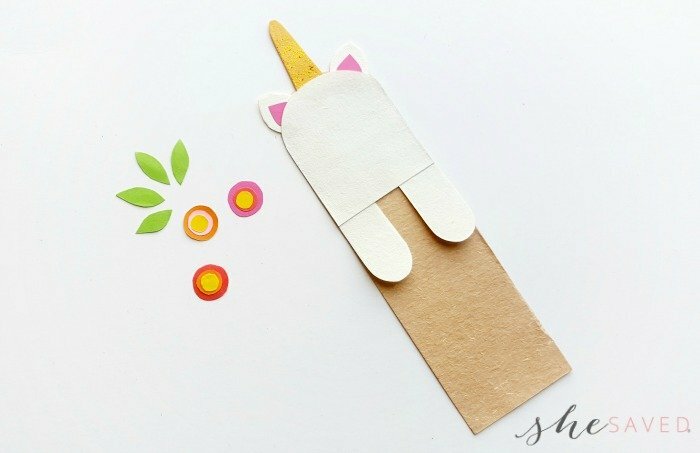 As you see your unicorn bookmark come to life, doesn’t it just make you smile? 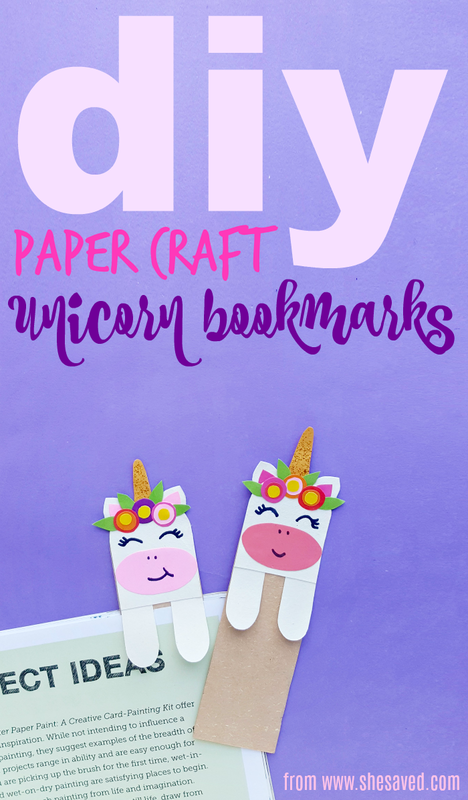 Aren’t these the cutest diy unicorn bookmarks ever!? So much fun and there are so many different ways you can share these with friends and I love that you can even tuck these into a card to send across the miles! Plus I love that they will always have a little unicorn to hug their books and save their place. It’s uni-perfect because who doesn’t love a little unicorn hug! ?